Star Wars was released in US cinemas on this day in 1977. Fast forward 41 years and Solo: A Star Wars Story, directed by Ron Howard, is now in cinemas around the world and garnering positive reviews despite a troubled production. Further Star Wars spin-off movies are confirmed (via THR) with James Mangold (Logan) helming a Boba Fett spin-off after Josh Trank departed the rumoured project in the wake of negative reviews for his Fantastic Four reboot at Fox. 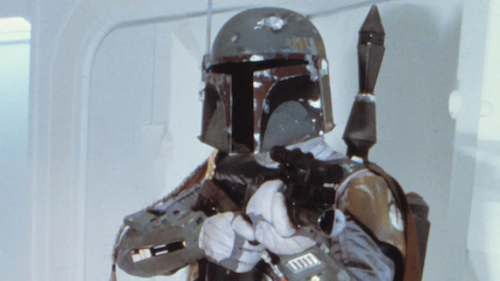 The infamous bounty hunter first appeared on the big screen in The Empire Strikes Back and quickly gained a cult following. He's one of my favourite characters from the franchise and the 12-inch action figure a prized possession from childhood. Seemingly Fett's fate in the belly of the Sarlacc, in Return of the Jedi, did nothing to dent his reputation, as far as my school friends and I were concerned, he escaped with the aid of his jetpack, and it'll be interesting to see what Mangold does with the character who was introduced in George Lucas' Star Wars prequel Attack of the Clones.